Frieze New York is an annual event, which attracts a broad spectrum of collectors, artists and gallerists to make the pilgrimage over the East River and discover an impressive selection of both modern and contemporary art. 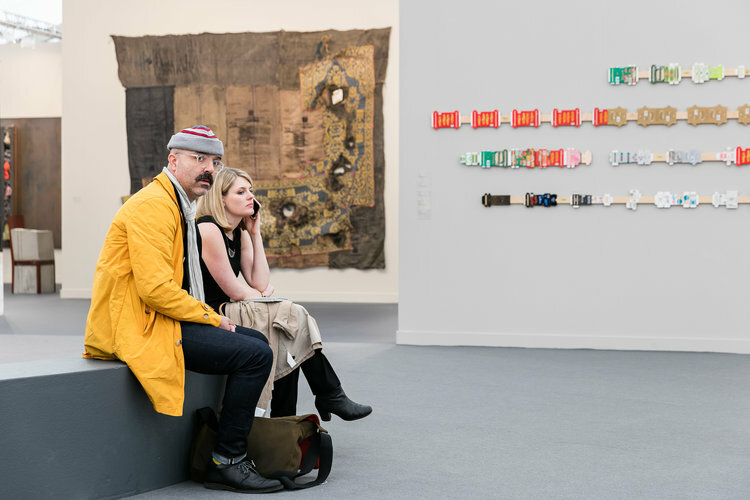 Across just four days, its hugely diverse audience are exposed to a plethora of cutting-edge works exhibited by more than 200 international galleries as well as a developed program of art talks, lectures and curator-led tours. Stationed on Randall's Island, Frieze New York is only in its sixth year, but the British fair has already achieved the coveted status of an unmissable event in the art world calendar. Forced to work alongside fierce competition such as the Armory Show and TEFAF New York, this year's program did not disappoint. Even rain and high winds on the second day failed to dampen spirits as sales remained strong, and our Instagram feeds continued to attract a huge response. As a dedicated follower of art fairs, I have come to expect a certain experience. Normally a large proportion of the stands will hang flat works on white walls, and others will either pull together a range of different mediums or present some form of cryptic installation, which you aren't sure if you can interact with. A dynamic alternative is the "happening" or performance pieces like Dora Budor's live impersonations of Leonardo DiCaprio at the fair. 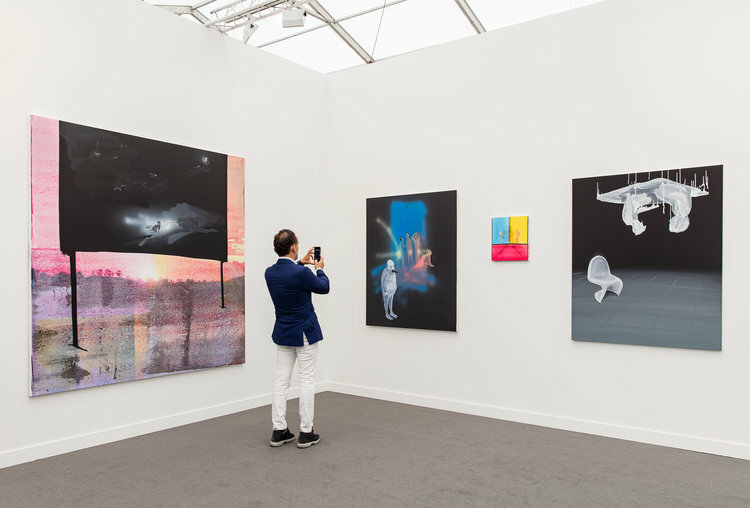 Undoubtedly, performance art as a medium is growing in popularity across art fairs and exhibitions as our appetite for immersive cultural experiences continues to strengthen. 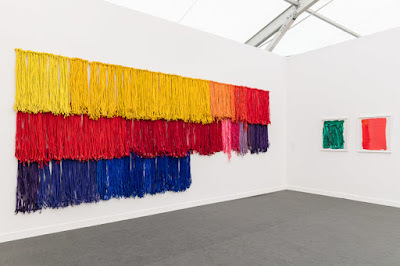 This year, Frieze New York felt less predictable than its competitors with creative presentations such as the Cheim & Read stand, which reacted to the recent Women’s March on Washington with a space featuring artists' works inspired by the colour pink from Ghada Amer to Louise Bourgeois and Andy Warhol. Another point of interest was Canada Gallery's immersive interior in which the contents of Marc Hundley's entire Brooklyn apartment were rebuilt at Frieze New York to display their interesting selection of works in situ. To me, both stands felt like a direct response to the uncertain social and political climate of our time. 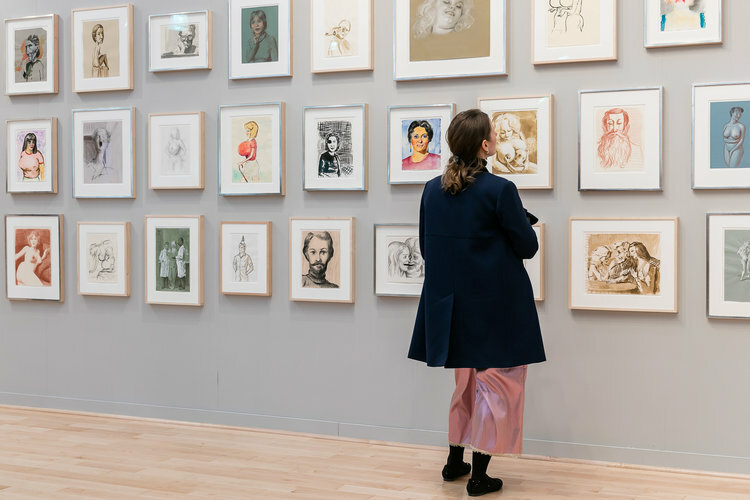 Working in the art world these past few years, I've observed a gradual shift in how collectors, gallerists and artists choose to display contemporary art. In order to create a deeper connection with their audience, artists are not only striving to engage politically, but also questioning how their work should be presented to their audience. A perfect example is the provocative Llyn Foulkes relief Untitled "Dinghy," which was exhibited by Sprüth Magers and questions the prejudices of Donald Trump. The controversial piece was rendered all the more powerful by its monumental scale and solitary position on the stand's outer wall. As with stands such as Kiki Kogelnik at Simone Subal Gallery, Hauser & Wirth consciously exhibited the work of an individual female artist, Lorna Simpson. Although she is primarily known as a photographer, Simpson decided to fill the space with paintings like Black and Ice (2017) on canvas as well as sculptural works made from glass and brass. As she explored gender, race and identity within her blue colour palette, it also felt as if Simpson's experimentation beyond her core medium mimicked both the simultaneous unrest and innovation of the socio-economic environment in which she and her contemporaries are making their work. Gagosian lined its walls with a solo presentation by John Currin, which created an immersive environment in which the audience could view the artist's figurative drawings without distraction. Experiencing decades of never-before seen drawings of, "a lot of naked ladies," was an intense and evocative experience, which brings you closer to the artist. Interestingly, this work is.less sexualised than expected and looks at the works of the Old Masters - especially 16/17th century imagery - through a contemporary lens. As with Alize Nisenbaum at Glasgow-based gallery Mary Mary, it was compelling to re-discover artists who are unafraid to also look back to the past. Her solo presentation used protest imagery from Mexican Modernist prints 1900-1950 to explore painting as a form of ethics. Marian Goodman featured an immersive installation Bridges in the Doldrums (2016) by the Albanian artist Anri Sala, which was comprised of an assortment of drums placed across the futuristic space. There was a sense of delayed gratification as visitors hesitated as to move further into the space to get a closer look at the hypnotically self-playing instruments. As the progression towards more interactive stands has perhaps moved slower than anticipated on the international art fair circuit, it was refreshing to find a gallery endeavouring to challenge our senses. In the Focus section, Dawn Kasper also presented a participatory installation of musical sculpture. In both the Spotlight and Frame sections, there was a strong line-up of smaller galleries making their Frieze New York debut with impressive stands. Bridget Donahue's first appearance was a fortunate one, resulting in the award of the Frieze Frame Prize. Advised by Fabian Schoneich and Jacob Proctor, the Frame section continues to support international galleries, which have been running for less than eight years. The salon-style booth was inspired by the artist Susan Cianciolo's recent visit to a Milanese eatery and featured a condensed retrospective of her collages from the last 20 years. See more at the Whitney Biennale this month. On Stellar Rays - a neighbour to Donahue's gallery on the Lower East Side - they also presented a solo exhibition of the female artist Rochelle Feinstein, whose work both engages and reflects the realities of our current times. Her work Ear to the Ground incorporates a collection of phrases painted in her own handwriting across the installed white curtain. The amassment of words had been gathered from current language, passing conversations, marketing copy and expressions. I must admit that I had been a little overwhelmed by the prospect of covering this year's Frieze New York. Initially, I had arrived with the intention of just re-visiting a few of the most visually-appealing, dynamic stands whilst also endeavouring to discover some exciting emerging talent, but I actually left feeling both energised and challenged by this year's presentation. In fact, Frieze New York undoubtedly felt more balanced, relevant, and politically-engaged than in previous years. By focusing more on the artists, and the issues they sought to represent, one might even suggest that Frieze New York also made a deeper connection with those questions at the core of the art community. 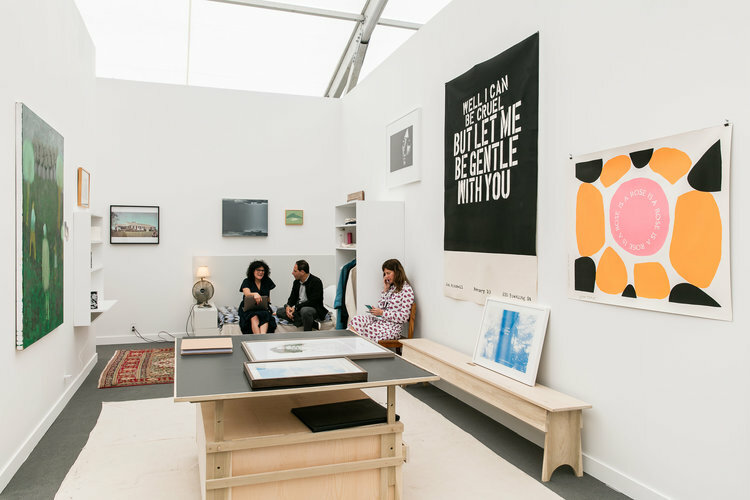 Alongside the blue-chip galleries, the majority of smaller galleries placed within both the Spotlight and Frame sections also offered unique presentations that were more accessible, refreshing and thoughtfully-curated. There was a sense of genuine concern with wider political issues, as well as more localised art ones. Whether or not that has been the case in past, this year it really came across strongly.